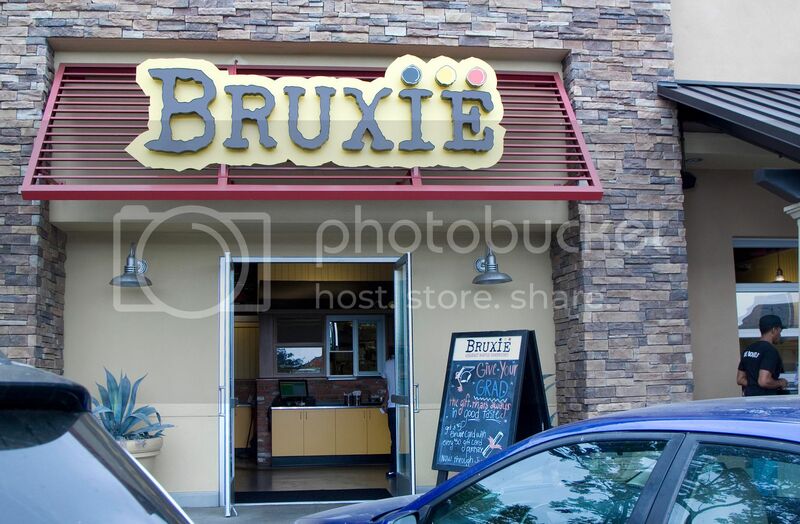 The line was insane when Bruxie first opened in Southern California. 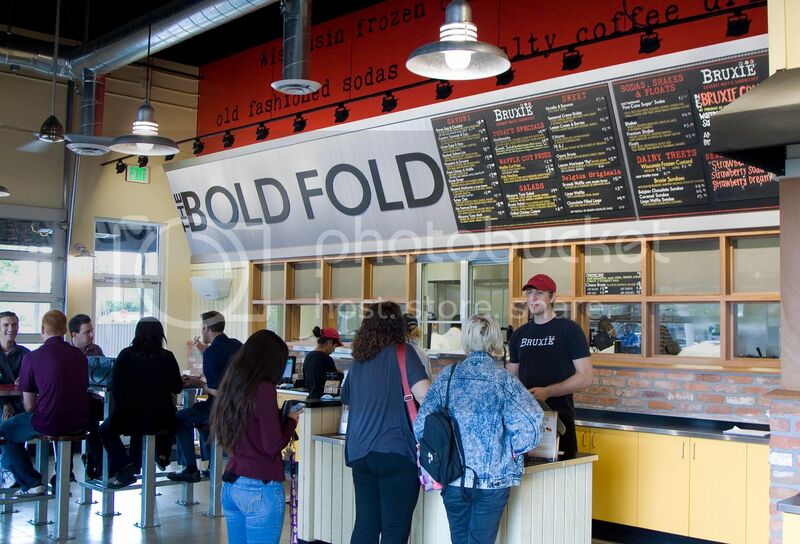 People were crazy about this waffle sandwich concept - "the bold fold," says the restaurant's tag line. You can read all about how this popular Belgian/American waffle sandwich started by clicking the link, for sure it'll do a better job explaining the whole stories behind. 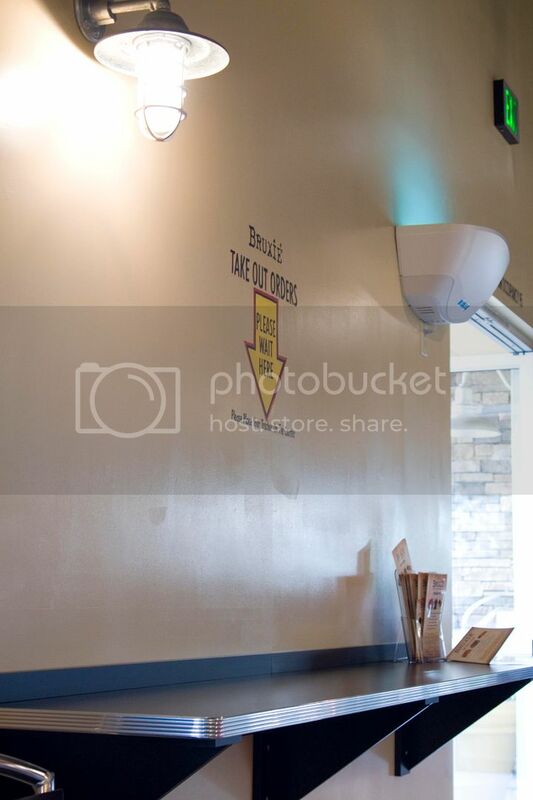 As for me, I'm here to share my first dine in experience at the Irvine branch. 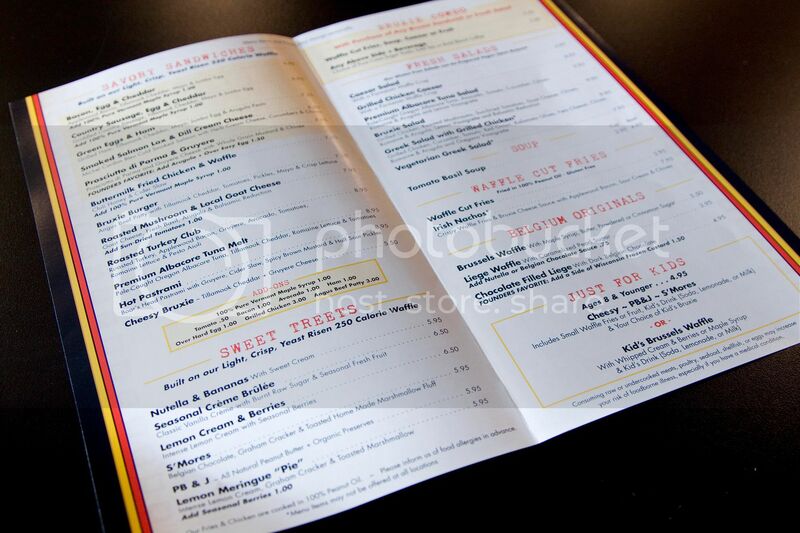 Just to sum it up, the food was lighter and better than expected! Located inside the Irvine Heritage Plaza close to the 5 freeway, you won't see long lines waiting outside this branch since the initial frenzy has passed. 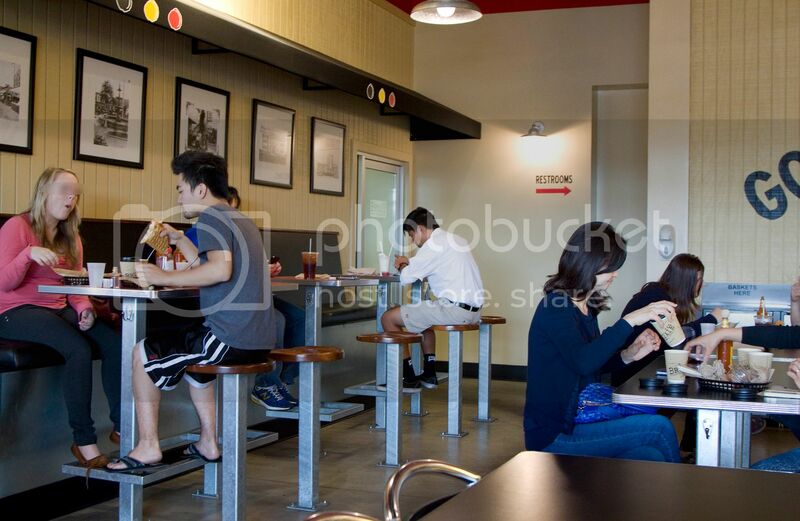 However, Bruxie can still get quite busy during lunch and dinner rush hours. 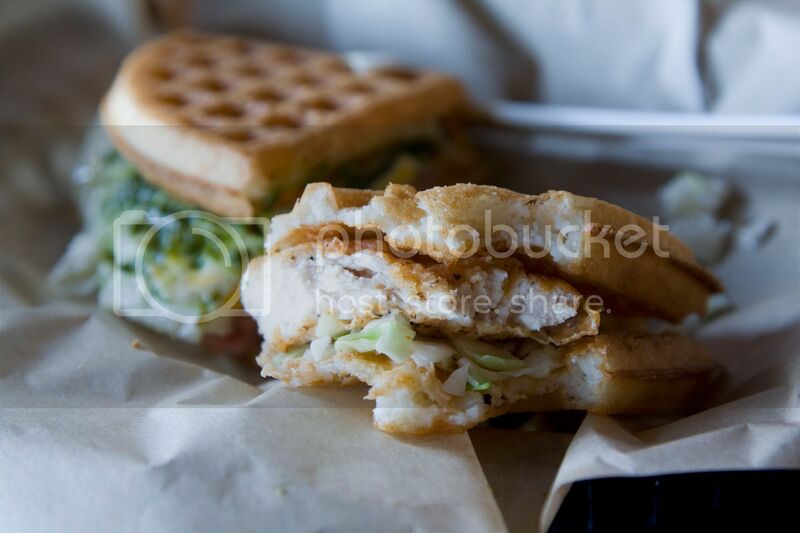 Short waiting time can be expected because all the waffle sandwiches are made to order to ensure customers get hot and crisp bites every time. 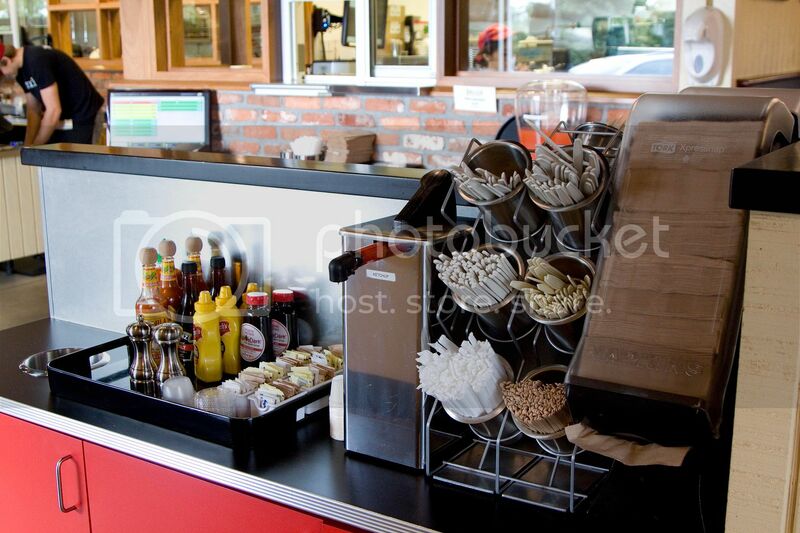 Spacious indoor dining area; there are also a few outdoor tables overseeing the parking lot. I had to admit that I've been reluctantly to give waffle sandwich a try, unlike the cronut craze that got me all excited when it first started. Never a big fan of waffles, it's too heavy and makes my tummy bloated easily. However, being a foodie, shredding away all the presumptions is a must, on top of that, stereotypes. 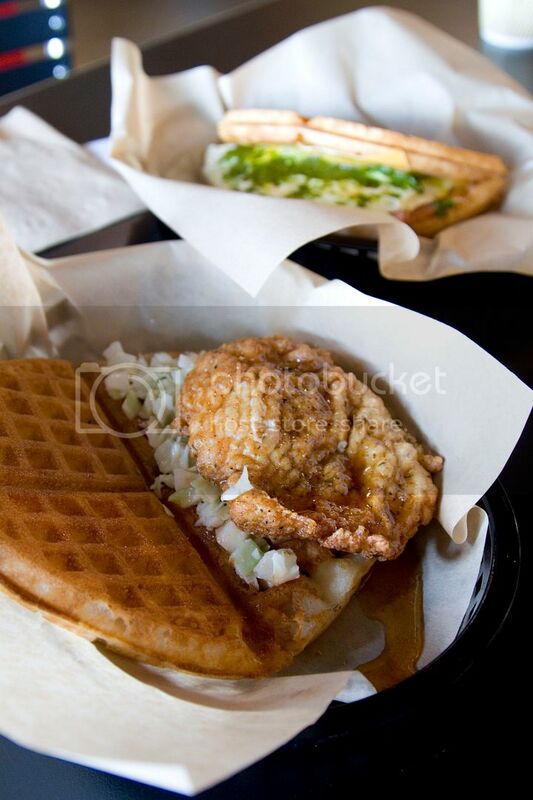 So here I am, standing in line with my other girl friend ordering not just one, but three waffle sandwiches. Might as well try more varieties all at once. *Click on the image for an enlarged view. The wait wasn't too bad plus we got our drinks first. Took about 10 minutes before receiving our savory waffle sandwiches. The sweet sandwich can either be served first or can be hold till you're ready for it. 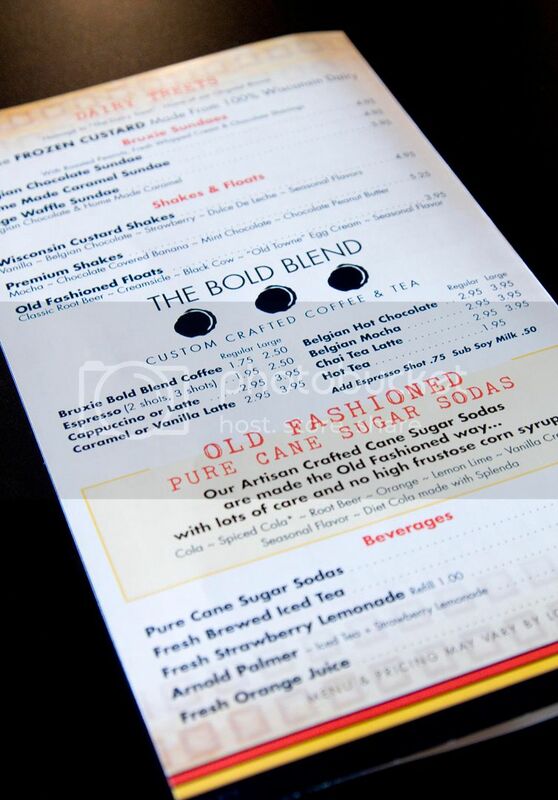 Just tell any of the servers and show them the receipt. They'll start making it in the kitchen. 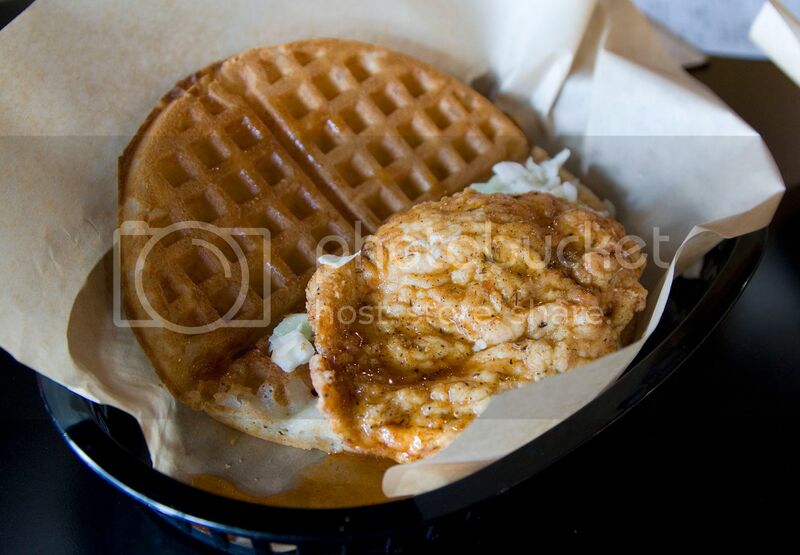 That way you'll get freshly made hot waffles from the beginning till the end. 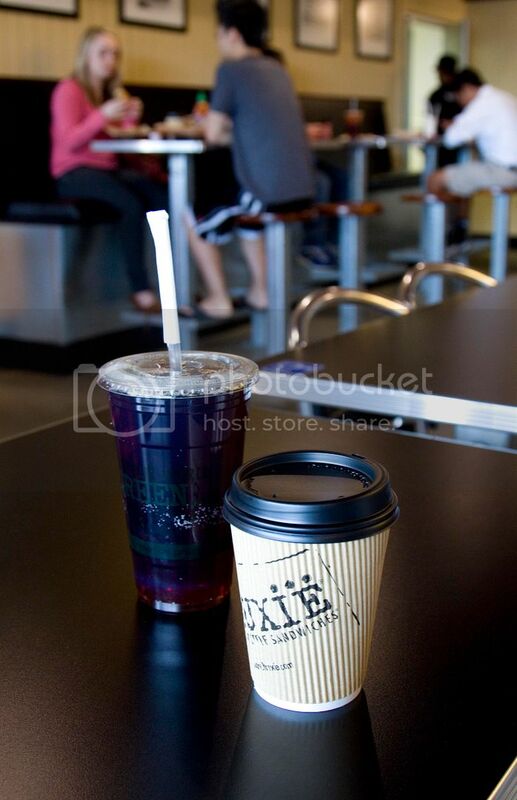 The Belgian mocha is blended with chocolate, you can request lighter on the chocolate if less sweetened taste is preferred. It comes with the option of adding 100% pure Vermont maple syrup for extra $1. My very first bite of waffle sandwich, it's all yours Bruxie. Surprisingly light and flavorful. I thought the waffle itself was going to be a heavy with chunky load of dough that'll stuck in my tummy for the rest of the day. 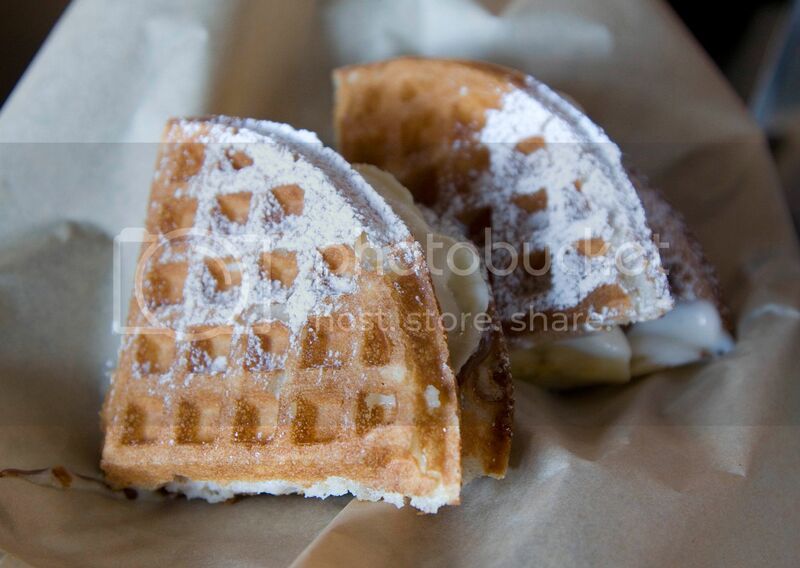 But no, Bruxie modified the regular recipe and created burden-less and airy waffles. 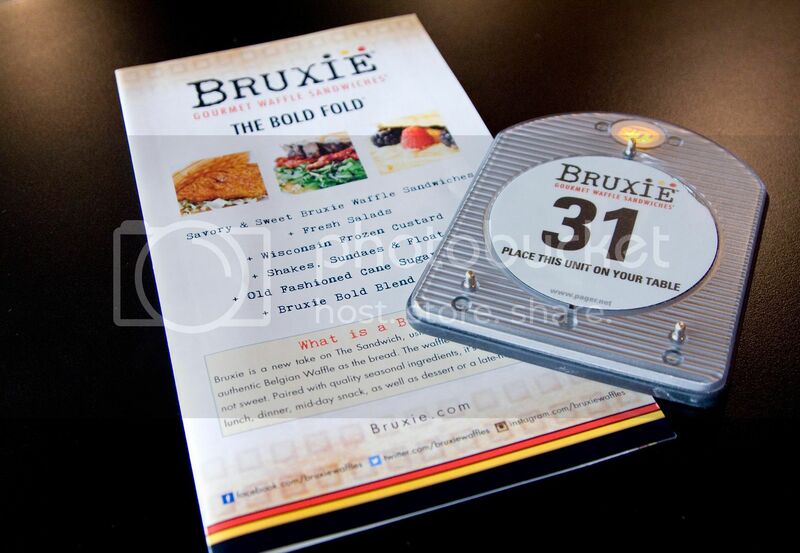 Even though on the website Bruxie states that the waffle is not sweet, but it does has that naturally sugary taste from the flour, and perhaps enhanced even more during the iron pressing process. The square edges on the waffle create extra crunchiness for each bite. Chicken breast was used but not dry as regular white meat, for sure the honey dressing helps in adding moisture. 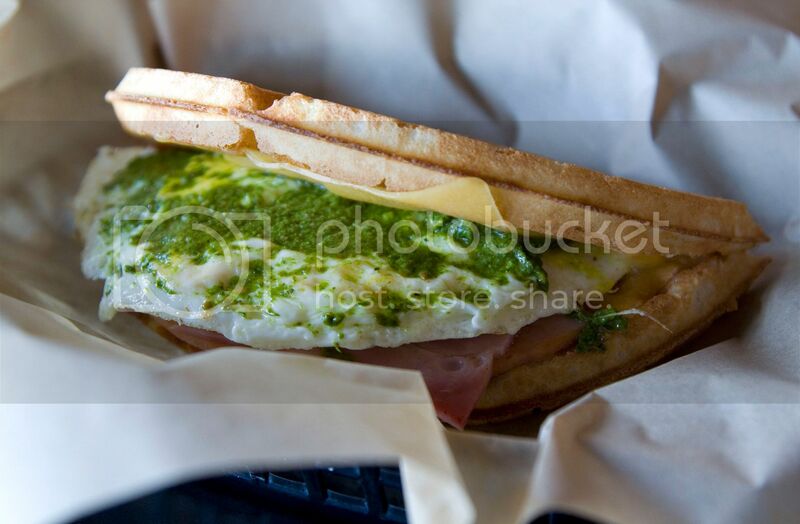 "Grilled ham, Tillamook cheddar, mayo, jumbo egg, arugula pesto." This one has a more delicate flavor profile compared to the tried and true country fried chicken. The semi-cooked egg yolk is the best part, adding something comforting to this rather light waffle sandwich. Female customers might fall for this one. Who doesn't love nutella, especially when paired with ripe bananas? The sweet cream inside tastes like light yogurt. 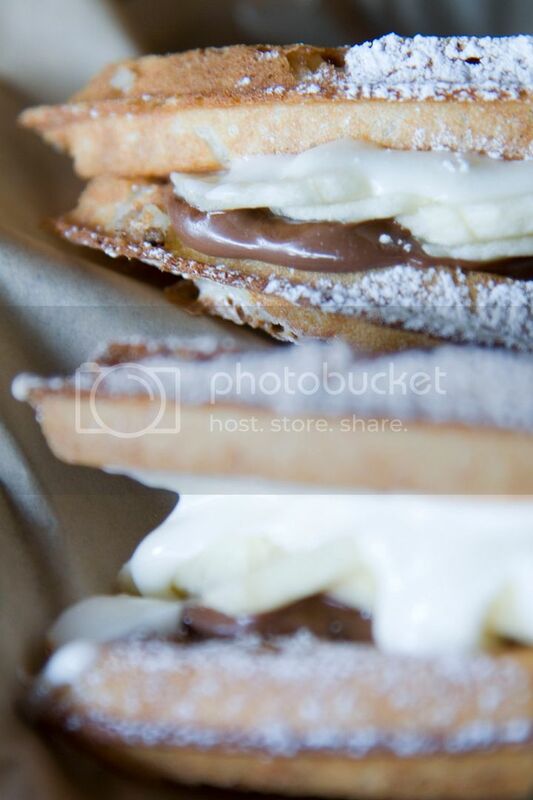 There's a hint of sourness, which works great in cutting down the sweetness from the nutella spread. Overall my first visit was a wonderful experience and the waffle itself was way better than expected. The savory items were lighter than imagined, which is not a bad thing. 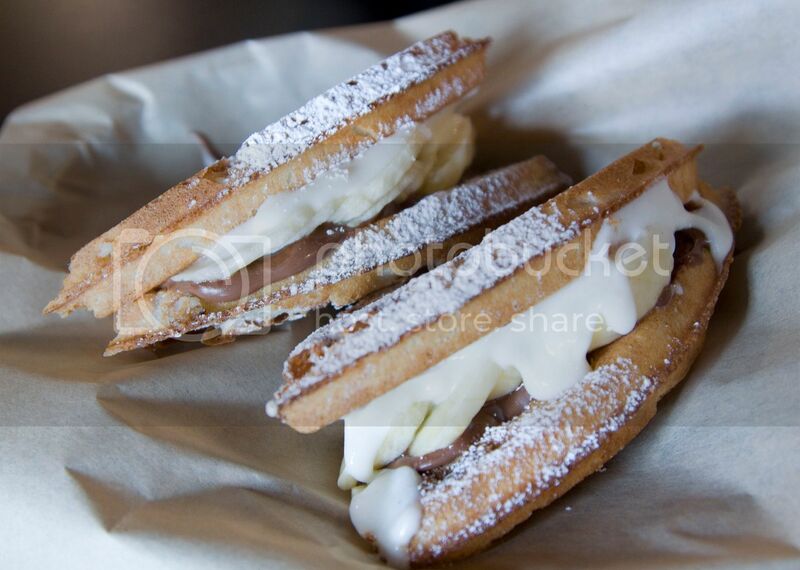 The sweet waffle with nutella, well, anything with nutella can never go wrong. I wouldn't mind coming back for more when craving for some comforting yet delicate lunch meal. Sun - Thu from 8 a.m. to 9 p.m.
Fri - Sat from 8 a.m. to 10 p.m.
Have you ever heard of Japanese oyakodon? The name "oyako" implies parents and children, that's why oyakodon's two main ingredients are chicken and chicken eggs. 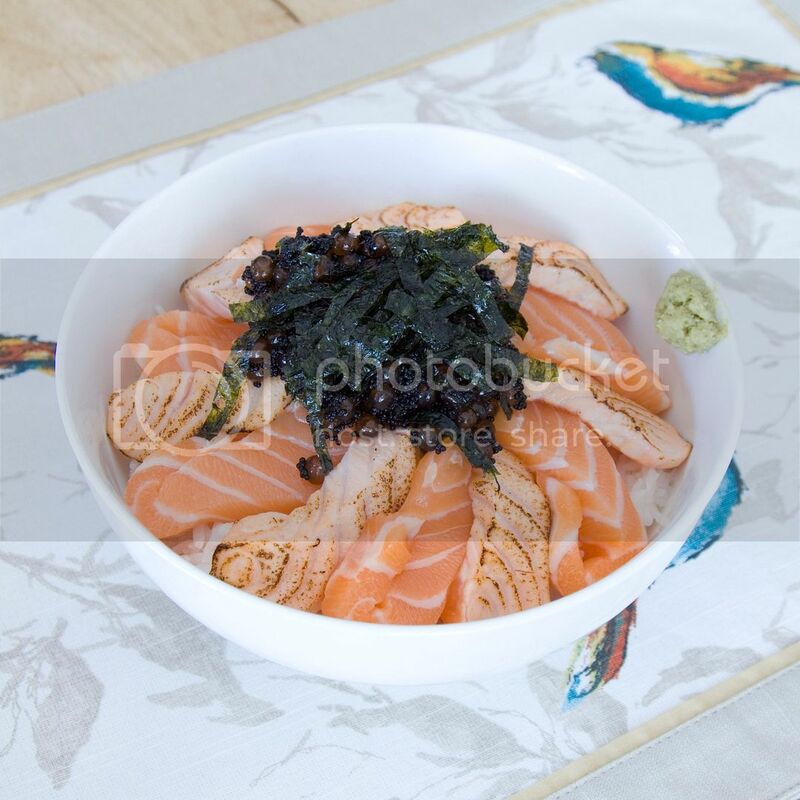 The recipe we're making here carries the same concept, but instead of chicken, it's salmon oyakodon using sashimi grade salmon and salmon fish roe called ikura. Sushi rice recipe can be found here from my previous blog post. 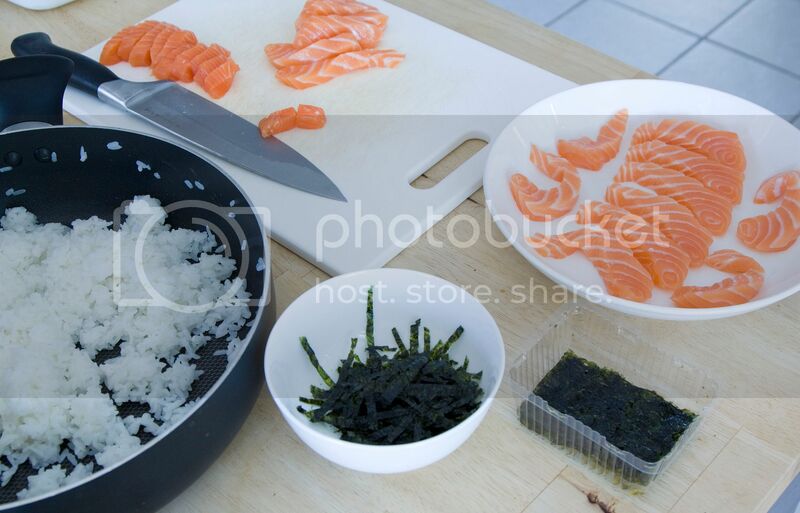 It's a simple method for making sushi rice at home. 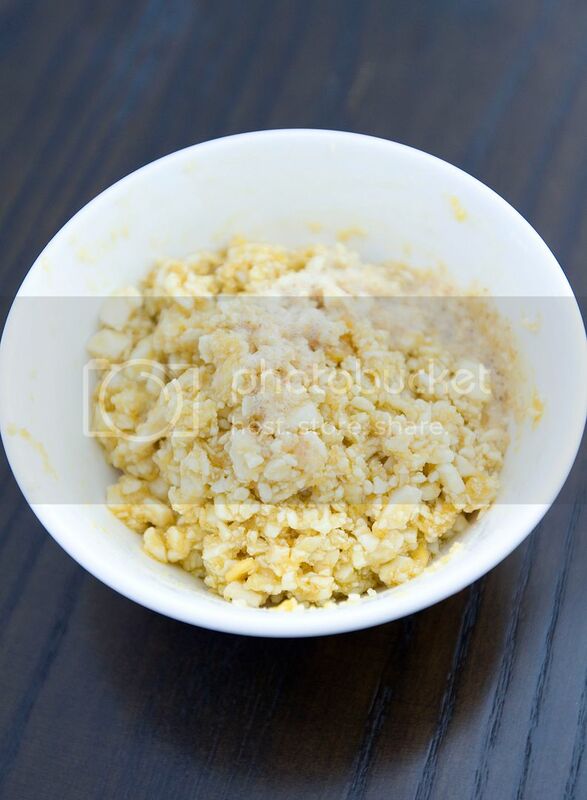 Just remember not to overly fluff the grains to prevent the rice from turning into mochi-like texture. *Lesson learned from my mistakes. Store bought dried seaweed threads might be hard to find. 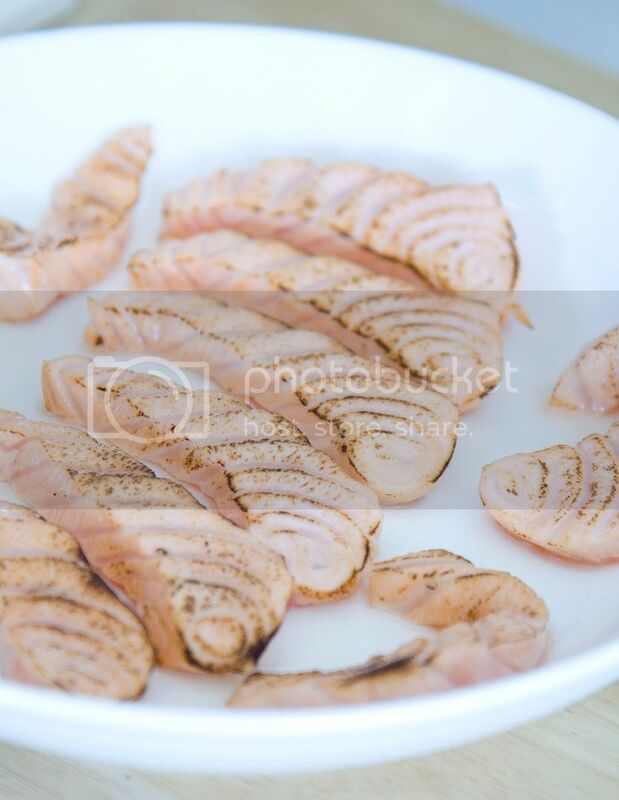 In that case, take larger pieces of dried seafood and chop into thin strips with very sharp knife, scissor works just as well. Mix the tobiko together with ikura. The color combination actually looks better with green or yellow tobiko roe. However, I was curious about pitch black fish roe that was dyed with squid ink. As a result, the color further dimmed my orange ikura to a point of no return..
Scoop some sushi rice to a bowl. 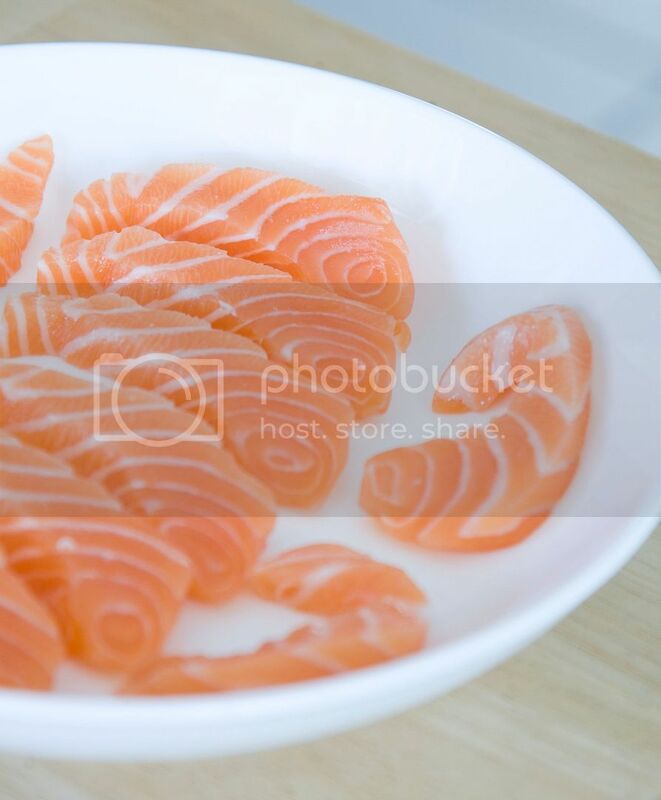 Evenly arrange the salmon slices around, one torched and one un-touched till the fish finally formed a circle (that's a lot of salmon! We are eating like kings and queens at home). Put the tobiko and ikura mixture in the center and top with dried seaweed threads. Put some wasabi on the side and serve with light soy sauce. The tobiko and ikura mixture is on the salty side so give it a taste first before using the soy sauce. 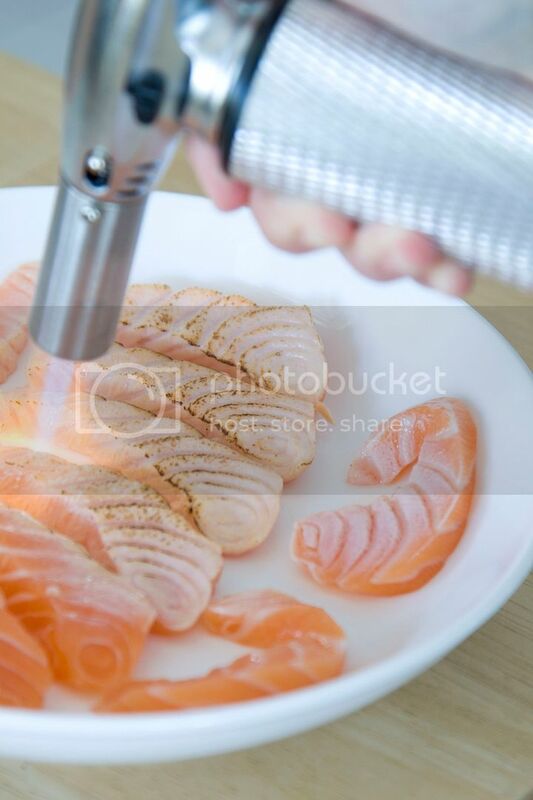 I'm sure this meal will give you a big boost in omega-3 fatty acids, which is very good for your heart! 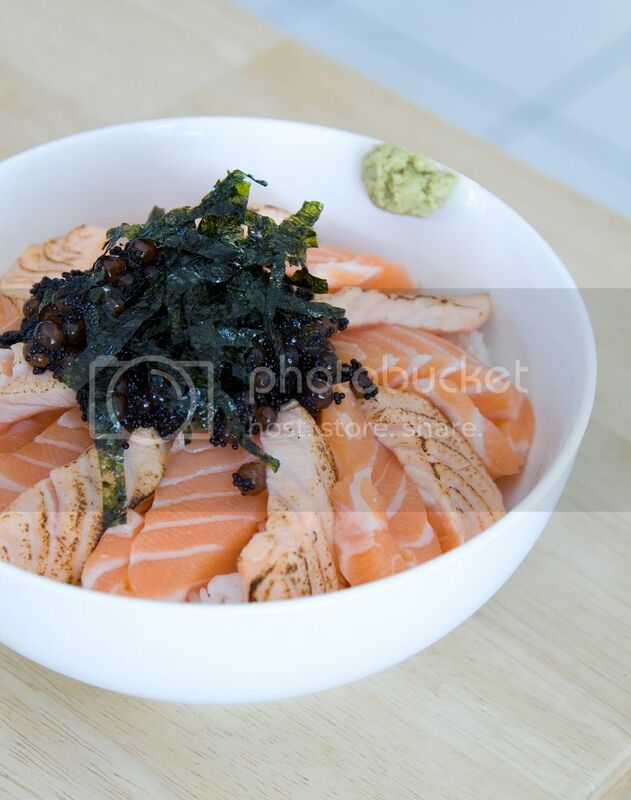 Festive Japanese food at home - colorful chirashi as easy as 1 2 3! How's your 4th of July weekend? Spent a lot of time chilling, barbecuing, and hanging out with families and friends? My long weekend break was filled with tons of unhealthy but man...delicious and satisfying food. How much I wish this break can go over and over again piled with fried munchies and melted chocolate. Unfortunately, it's time to face the reality and get the healthier diet back on track. Don't be sad, healthier doesn't necessarily mean dull and tasteless food. Salad might be hard to swallow after spoiling the palate and stomach with high oil content food over the weekend. 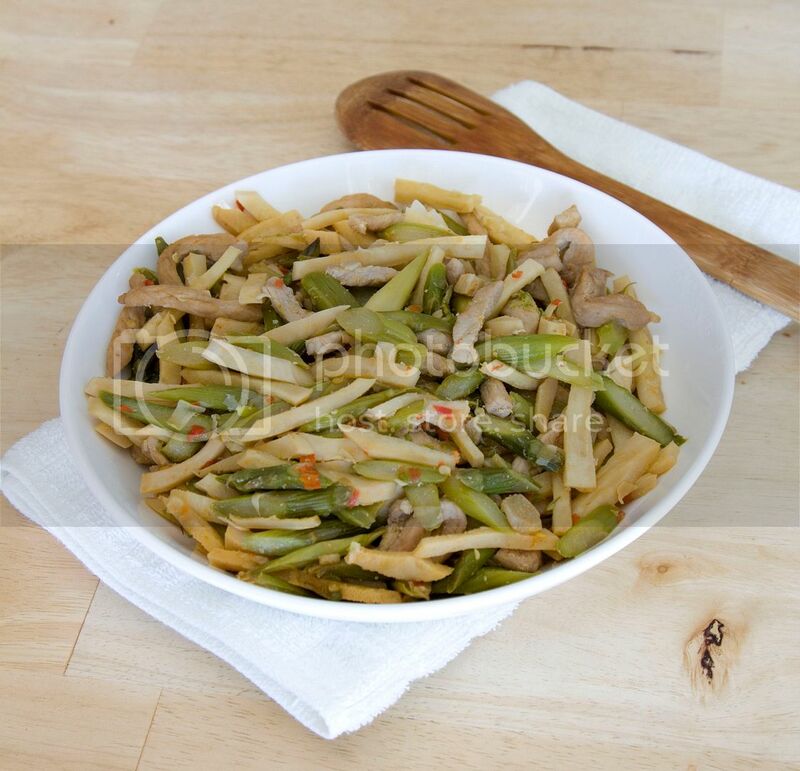 So how about stir frying some veggies that are high in fiber, anti-oxidant vitamins, and low in calories? Marinate the pork loin strips with 1 tablespoon of soy sauce and 1 tablespoon of Chinese cooking wine. Massage the meat for a little bit so the seasonings get to soak into the meat. Let's prepare other ingredients in the meantime. Peel and slice the garlic cloves. Discard the chili stems and chop the chilies into small pieces. Chop off the tough end roots from the asparagus, also see if the stalks need to be peeled slightly to remove any tough layer. Slice the asparagus with an angle/diagonally. Chop off the tough bottom section from the bamboo shoots and peel away the outer skin. 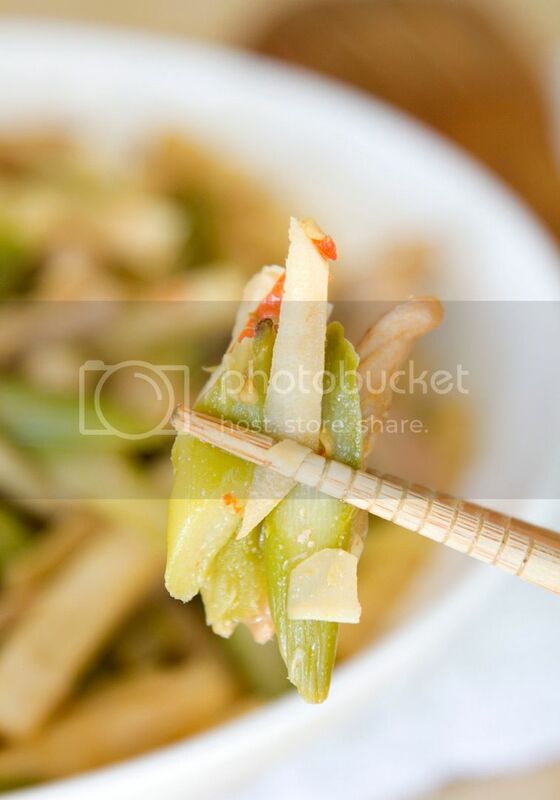 The bamboo shoots usually will be about half of its original size after removing all the hard to chew parts. 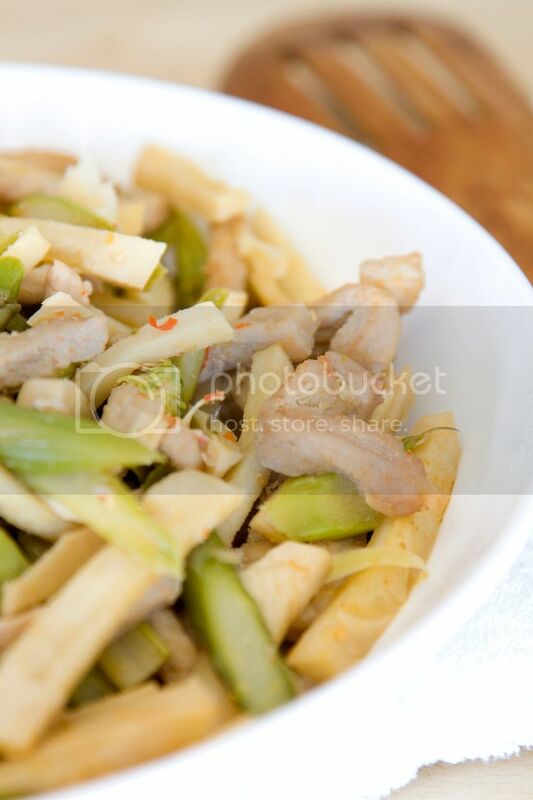 Slice the bamboo shoots then chop into strips. Drizzle about 3 tablespoons of olive oil into the pan and turn to medium high heat. Add in the garlic, chilies, and 1/4 teaspoon of salt. Give it a quick stir. Add in the pork strips along with its marinade. 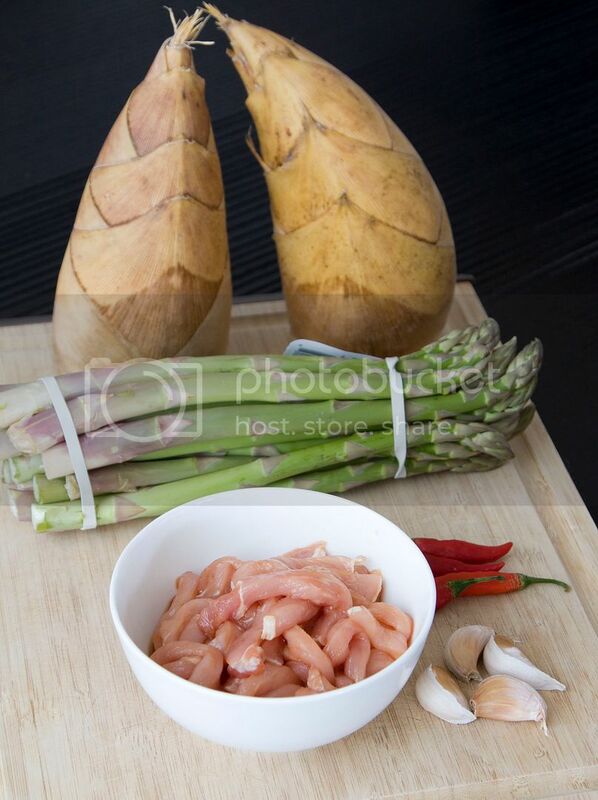 Cook till about half way through then add in the bamboo shoots and asparagus. Turn to high heat and stir fry for one minute. Drizzle in the soy sauce along the edge of the pan, so the heat will further help releasing the soy aroma. Cook for another minute. Pour in water till about 1/3 of the ingredients are submerged under the liquid. Cover the pan with a lid and cook till no more excess liquid is present, about 12 to 15 minutes depending on the heat. Drizzle a little bit of sesame oil before serving. You can also sprinkle some white pepper powder if desired. If you had too much meat over the weekend, these fibrous veggies will definitely come to rescue, if you know what I mean (wink*). While waiting for the long weekend to come, here's a comforting Chinese beef brisket stew to help you get through the time waiting. But be careful, this stew also comes with a spicy kick to keep you awake before the Independence Day. The Chinese marinated peeled chilies can be found at local Chinese grocery stores. However, you can always substitute with Mexican pickled jalapenos since these two carry similar spiciness with a hint of sourish taste. 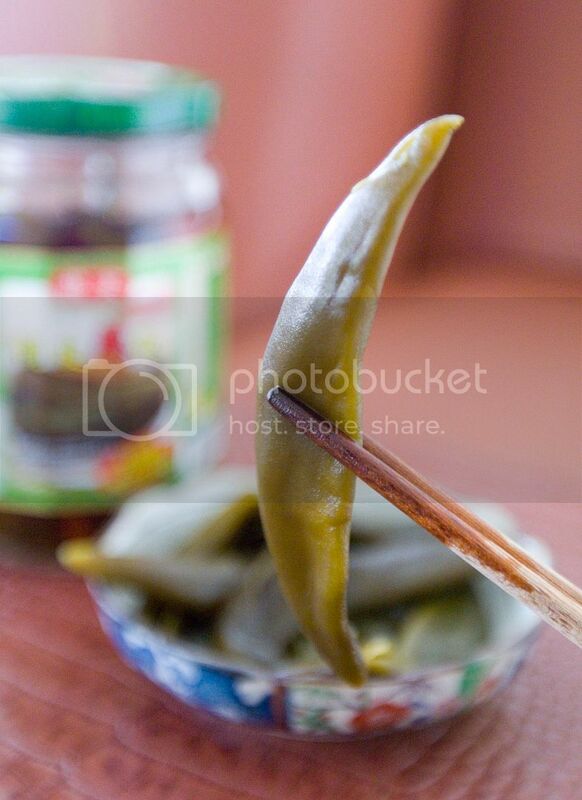 Most Chinese people like to use the pickled green chilies to make chicken soup. 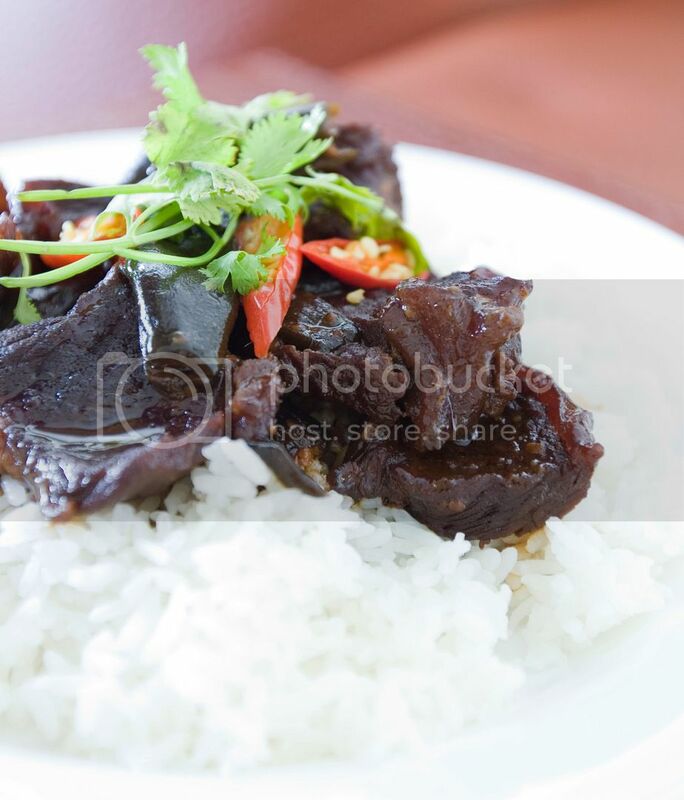 However, it can also add lots of flavors to stew dishes such as this recipe. 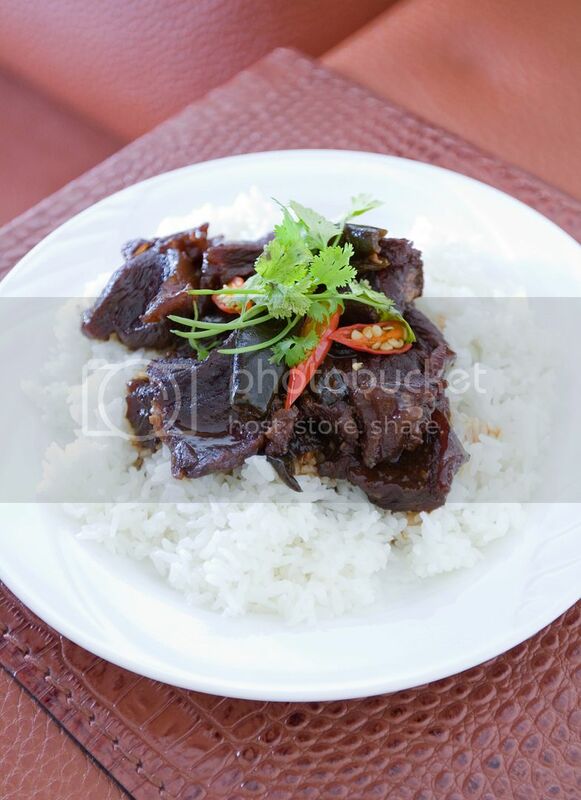 The spiciness actually tones down a bit and the flavors gets to permeate into the meat after hours of cooking. 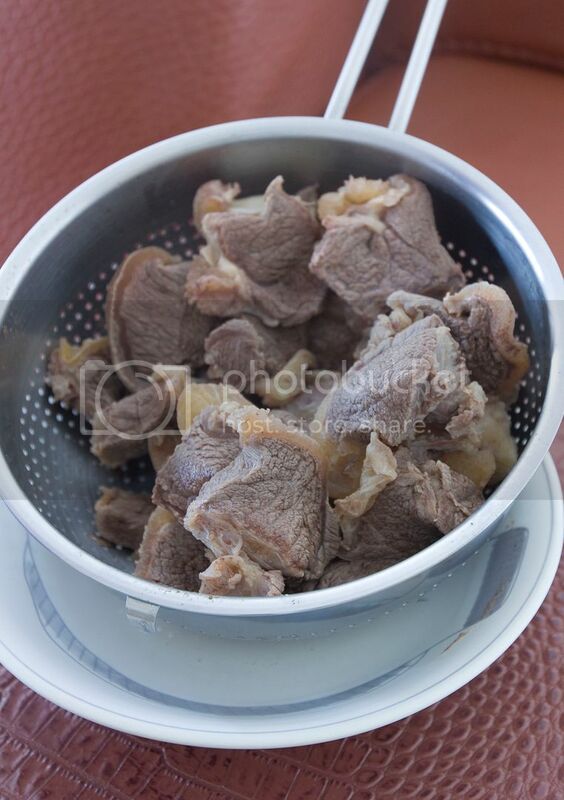 Cut the beef into large bite size pieces. Peel and slice the shallot. Peel the garlic cloves. Start boiling a pot of water and put the brisket into the pot. Bring to a boil and let it cook for couple minutes to draw out the dirty grayish bits. Drain the liquid and set the beef aside for later use. Drizzle about 2 tablespoons of olive oil into a big pot, enough to evenly coat the bottom. Turn to medium high heat and add in sliced shallot, whole garlic cloves, and just a tiny pinch of black pepper for extra hint of spice. Sear till the shallot and garlic turned slightly browned. Transfer the beef into the pot and sear for couple minutes. 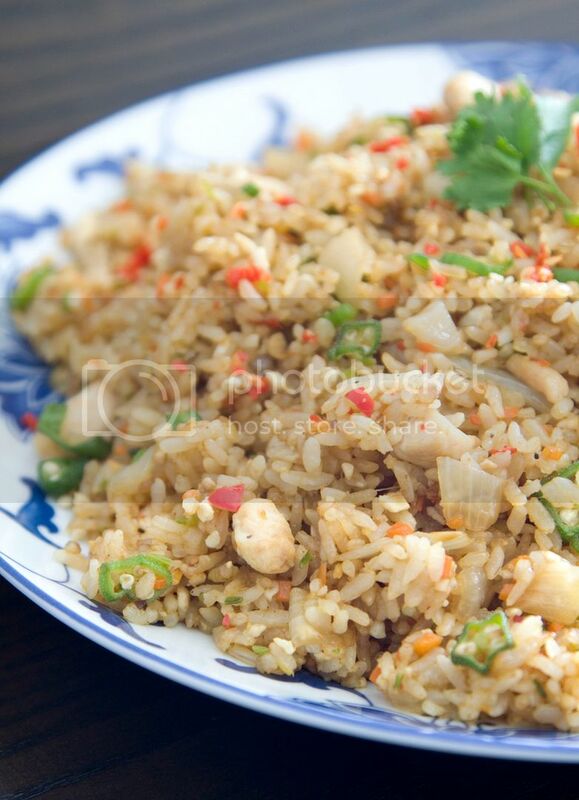 Pour in the soy sauce along the side so the higher heat from the pot can further bring out the soy bean aroma. Also pour in the black bean soy sauce, marinated chili juice, and water. Give it a quick mix and bring to a boil. Lower the heat a little and put the lid on, make sure the pot stays slightly boiling throughout the remaining cooking time. The stew is ready when almost all the liquid has been cooked down and the brisket is fork tender. It took about 3.5 hours for me but the time can varies depending on the quality of the beef. Some tends to stay tough and chewy and might take couple more hours to break down. In that case, add a little more liquid to prevent from burning. Garnish the stew with some cilantro and red chilies. 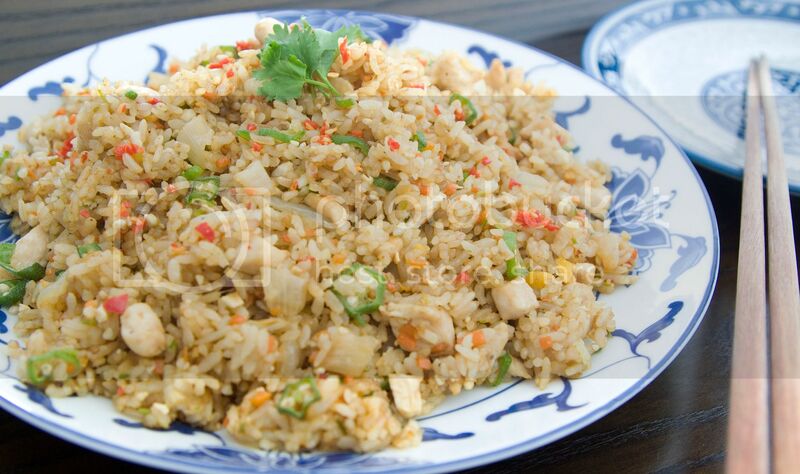 Make sure to serve this dish with some steamed white or brown rice, otherwise eating the stew alone can be too salty. 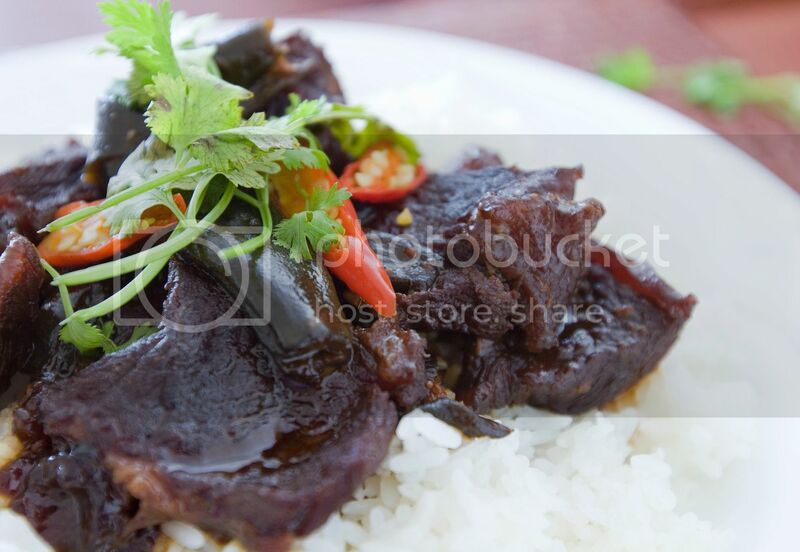 The best part is the glutinous section from the beef and the juicy marinated green chilies. The chilies aren't too spicy after hours of cooking. 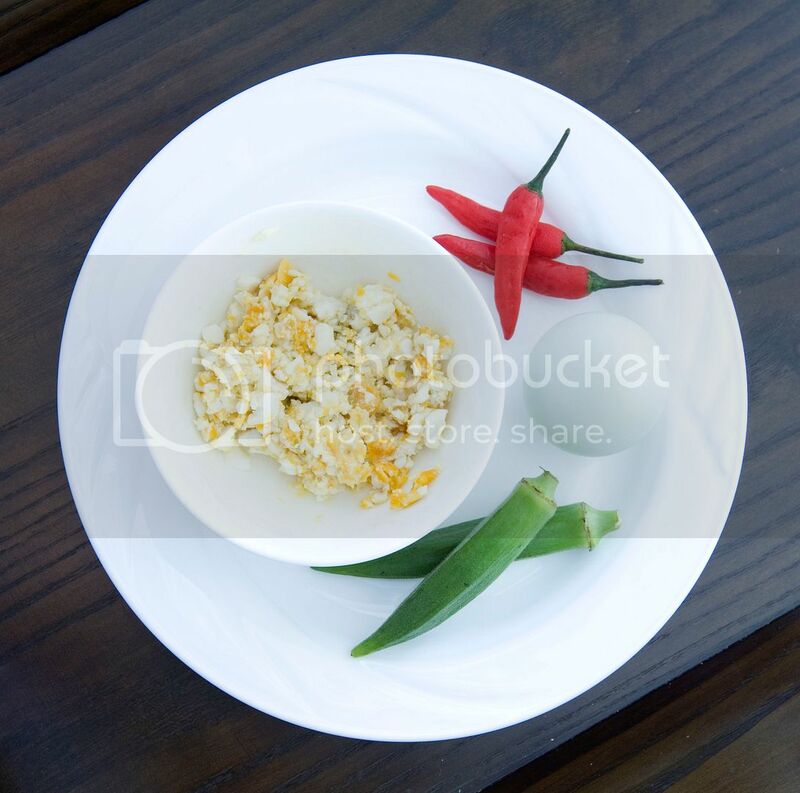 In addition, all the flavors and liquid from the stew have been fully absorbed by the chilies. This dish got both the comforting and the spicy kick characteristics. Hope it'll help you get through one or two more days before the long weekend arrives!